Let's be clear: it would be a supreme a-hole move for someone to use a homemade TV-B-Gone to shut off the women's beach volleyball game I am watching at a bar. Obnoxious and unacceptable. However...were I to use my DIY universal TV power remote to click to black their all-tied-up World Cup game with 90 seconds left of play...that would be hilarious. Hilarious and awesome. As depicted in Gizmodo's 2008 CES rampage, the TV-B-Gone is a handheld device whose single button fires out 230 different turn-off codes capable of powering down nearly every TV in existence. This Adafruit DIY kit makes the payoff even sweeter because users get to solder and assemble the circuitry themselves. Compatible with both North America/Asia and Europe/UK televisions, TV-B-Gone will zap anything from screens on walls full of TVs blaring with ads and talking heads to those droning in restaurants, zombifying your family and monopolizing your quality time together. DIY TV-B-Gone kits are open source and come with all parts necessary for assembly, less the standard tools and batteries. 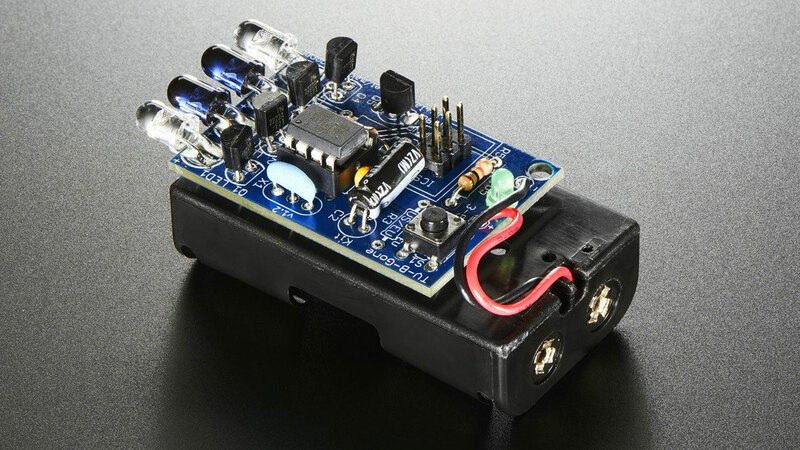 Designers say it's a simple kit suitable for people who have never soldered before. The finished product outputs 2 narrow-beam and 2 wide-beam IR LEDs and contains 115 codes each for North America/Asia and Europe/UK TVs mades by pretty much every major brand. 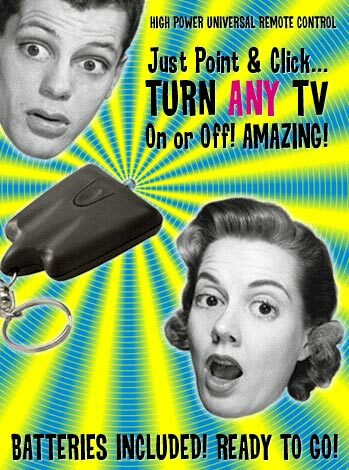 The remote also works on the latest flat-screen and plasma TVs. TV-B-Gone functional shutoff reach is up to 150'. Not into TV-B-Gone-ing yourself? You can purchase an assembled TV-B-Gone keychain here, or the newer TV-B-Gone Pro SHP (Super High Power) controller here. The TV-B-Gone Kit is a top Dude Gift for a Geek and Novelty Gift pick. Muchas danke to Potato for the Dude Product Tip.